Designed to fill a wide range of bulk bag and gaylord sizes. Gaylord fill adaptor not shown. 304-2b stainless steel on product contact surfaces. Washdown duty frame design for easy cleaning. 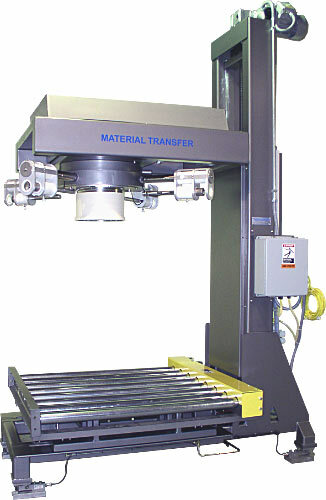 Overload protected stainless steel weigh modules for consistent, reliable weighments. Allen-Bradley PLC with PanelView Plus touch screen operator interface (not shown).